Can I find my lost cat with the help of a microchip? Discover what are microchips for cats and their main uses and limitations when it comes to tracking your kitty! Even if you have an indoor cat, all felines need a type of identification, since they are very likely to be escape artists. But how can you best track your cat? In the past, simple collars with the name and address of the pet owners were attached to the cat. But nowadays, thanks to technology, we have various, much more useful tracking and identification options, such as GPS trackers, bluetooth trackers, cat microchips, etc. So what to choose for your feline’s safety? This article will explain why keeping track of your cat by solely relying on a microchip alone is not possible. It will also clarify the difference between a microchip, GPS tracker and bluetooth tracker and explain what your cat really needs to be safe. In many countries, microchipping your cat is regulated by law and mandatory. Should a non-identifiable feline be found lost on the streets, it could even be euthanized. But what is a microchip and how does microchipping work? A microchip for cats is an electronic ID chip of the size of a rice grain, implanted under the skin of your kitty. The unique chip contains an ID for identifying the owner of the cat, in case your feline friend gets lost. 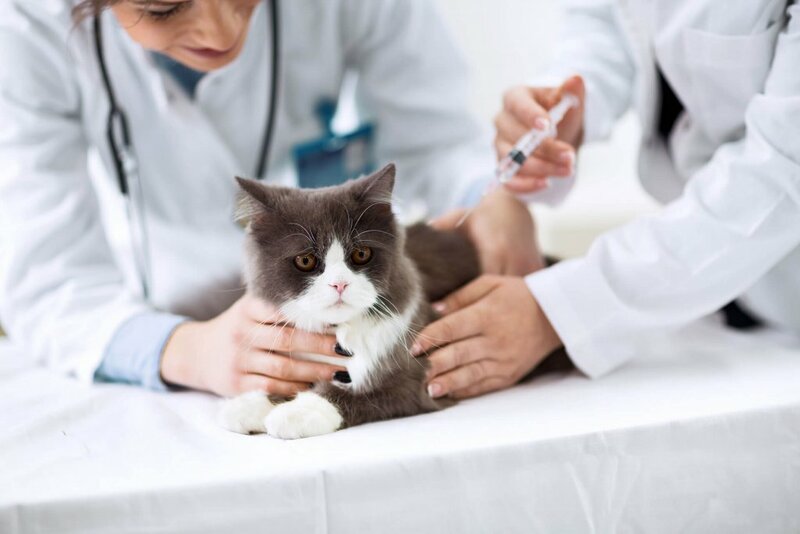 The chip is injected carefully between the shoulder blades of your cat and the procedure lasts only a few seconds. Important: Nevertheless, microchips for cats are not useful in an active search for your lost cat. Someone has to retrieve and bring your lost cat to the vet, so that the doctor is able to read the ID microchip with a special scanner and identify the owner. Which cats should be microchipped? It’s good practice to have all your cats chipped once they are old enough, since this will make them safer in the case that they go missing. However, outdoor cats are most at risk of being lost or stolen, so it’s especially important if your pet is allowed out of the house alone. Does a cat microchip use GPS? It’s important to understand that microchips don’t use the Global Positioning System (GPS) or any other navigation / localization technology. Due to the lack of GPS system, you will not be able to use the microchip to trace your lost cat. Are you relocating with your kitty? Remember, the microchip is only useful when you keep the contact information for the ID registration up to date. Are microchips enough on their own? It’s definitely sensible to microchip your cat, but this will only provide partial protection. It is very useful to help locate the cat’s owner if someone finds the animal, but it won’t help to locate the cat in the first place. For real-time tracking of your cat for extra peace of mind, you can use a GPS tracker as well. In order to get a better understanding of the main uses of a cat microchip, go through this overview of uses and limitations of a microchips for cats. Now that you are more familiar with the topic of microchips for cats, you might ask yourself what other tracking options for your feline are available. How about a GPS cat tracking collar? What are GPS tracking devices for cats? At this point, you are already familiar with the main characteristics of a microchip for cats and a GPS tracking device for cats. If you’re looking into a more detailed comparison between a microchip and a gps tracker, this article is definitely the right one for you! 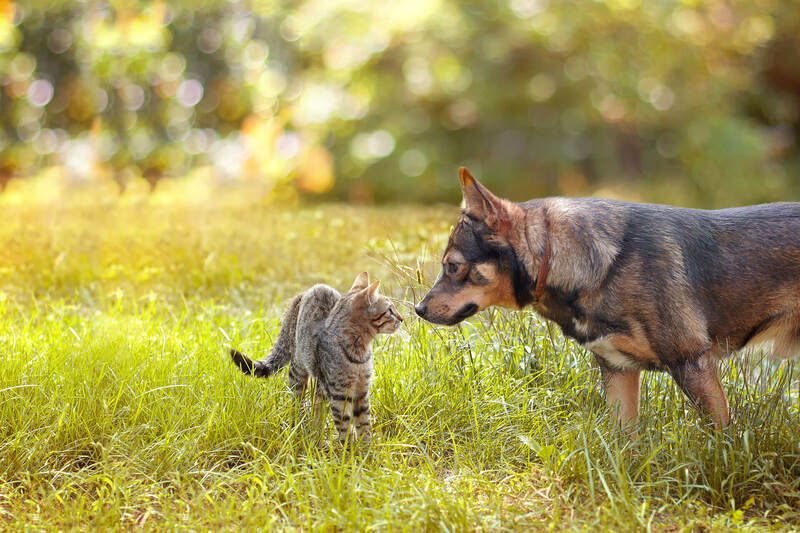 Good to know: The main difference between a cat microchip and a cat GPS tracker is the possibility of actively searching for your cat, in case she runs away or gets lost. The only device that gives you this ability is the GPS tracker, since it offers the possibility of real-time tracking. Which tracking device is best for my fluffy tiger? You’ve gone through the main features of kitten microchips and GPS tracking devices for felines. So for which one should you go for? The answer is: both! When it comes to the safety of your kitty, nothing is too much. Remember: Having your cat microchipped might be a mandatory regulation in your country, but unfortunately, this won’t be enough in case kitty runs away. In comparison with a microchip, having a GPS cat tracking collar attached to your feline’s neck will definitely help you to find your cat, in case she gets lost. And in real-time! So keep kitty safe with the right tracking devices. Side note: What is a Bluetooth tracking device? Last but not least, let’s have a closer look at tracking devices for cats which function via Bluetooth. How do they actually work? Bluetooth tracker function very well for locating objects in your immediate reach, for example, for finding your keys or your bag inside your house. Good to know: When it comes to locating the exact position of your pet, Bluetooth trackers are only partially effective, due to their limited operational range of ca. 20 meters. Should your cat be further away, a Bluetooth tracking device will be useless in finding your kitty. Read more about the main advantages and disadvantages of a Bluetooth tracker for pets! Like what you’ve read? Share it with other cat lovers! Find out the 11 most common reasons why your cat goes missing from home! Pet safe zone feature of Tractive GPS: Here's how some feline parents use it!